Let’s face it. Here at MAAG we’re a house of artists. All kinds, all disciplines, visual artists, performing artists—we’re a diverse group here. But on International Women’s Day (IWD), we’re celebrating women in the arts—our contributions, our accomplishments, enhancing our cultures with creative energies. We’re celebrating women internationally…all ages, all cultures. We continue to find out there’s just a host of talent among us. Some artists you may have heard, even love their poetry and music. Others may be new to you. Regardless, we assure they will delight and surprise you. 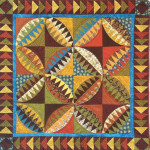 All occurring under the roof of our already celebrated Quilt Show. A night to remember. To celebrate together. 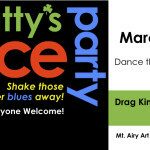 So join us at 11 West Mt Airy Ave. Bring your families. See what’s possible. At the Mt Airy Art Garage—a place where creativity abounds and dreams are made into reality. Saturday, March 8 at 6 pm. Extra added bonus, open mic from 9-10 pm. Everyone is welcome. $10 Admission. Kids under 12 free. For more information call 215.242.5074. And a special thanks to our sponsor Valley Green Bank. Mary Ann Domanska has been a teacher at Springside Chestnut Hill Academy for twelve years. She has a BFA in performing arts and a Masters degree in elementary education. 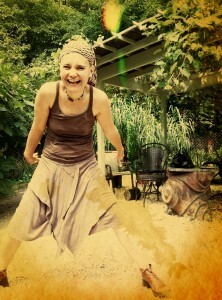 She is a writer, actor, mother, and maker. She is currently participating in the North Carolina Outward Bound Educator’s Initiative; a yearlong curriculum that helps educators include experiential learning in the classroom while encouraging the skills of perseverance and grit. This summer she plans to teach theatre and crafts to children in Ghana through the Pagus: Africa program. She has written a middle grade adventure novel, Emic Rizzle, Tinkerer, and is hoping to find a publisher soon. 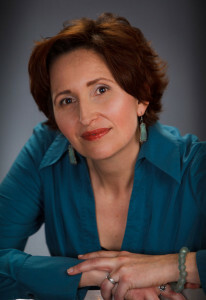 Mary Ann’s Twitter handle is @mdomanska and her blog “Writing a Middle Grade Novel” is at http://maryanndomanska. Maleka Fruean is a writer, community events coordinator, part-time journalist, and full-time mother and creative being. She was born in Western Samoa, raised in New Jersey, and became an adult in Philadelphia. She writes poetry, fiction, and hybrid prose, and is currently working on a series of stories about a girl who starts boxing. 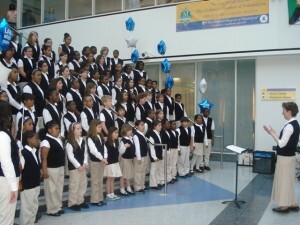 The Gleeksman-Kohn Children’s Choir at Settlement Music School consists of a graded choir program for children in grades 3-8 at all six branches of the School. The branch choirs rehearse on a weekly basis and gather together regularly throughout the year to form a group consisting of 130 members. The choir has performed with the Philadelphia Orchestra and for the inauguration of Governor Ed Rendell, and has presented concerts at the Children’s Hospital of Philadelphia as well as other venues throughout the region. Rae Ann Anderson is director of the Gleeksman-Kohn Children’s Choir at Settlement Music School. Originally trained as an organist, she holds degrees from Wittenberg University and the University of Missouri-Kansas City, and has served as a church music director in Kansas, Missouri, Ohio, Pennsylvania and New Jersey. She has directed children and youth choirs for 25 years, and choirs under her direction have toured Cuba and presented an original musical. In addition to her work at Settlement Music School she also serves as the director of music for St. Paul’s Lutheran Church in Glenside, PA.
Planning the MAAG poetry slam. Jen is on the right. Jen Hemenway is traveling from Massachusetts and here in Philadelphia until May. She is a cartoonist/painter who paints on recycled materials such as wood, broken down furniture, and metal. Her work can be found on Facebook under 55407 Komix (pronounced comics). 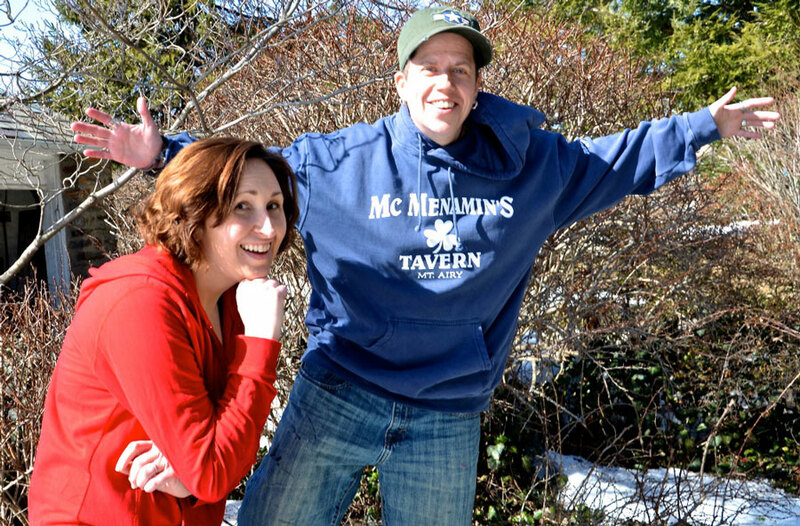 Jen started that freelance cartoon business in the early to mid 90’s in Minneapolis MN, where she began a self-published comic book called 55407, and the business stemmed from there. 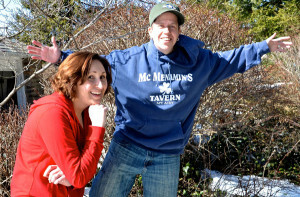 Jen also published cartoons in an international quarterly called “Lesbian Review of Books.” She also has a custom skateboard company called Upside Skate Decks (find it on Facebook with many pics of her work) which began out of her basement in Boston in 2004. Jen has shown her work in Minneapolis, underground shows in Boston, coffee shops, and has also been interviewed on cable access channel BNN “It’s All About Arts” in Boston. Her work has been shown through Roslindale Open Studio, Boston and in galleries from Provincetown, MA, to Melrose, MA, Leominster, MA. Jen is a cartoonist/abstract/mixed media artist, poet and writer. April Lynn James, PhD, is an award-winning performer and scholar. Following receipt of her doctorate from Harvard in 2002, she embarked on a career as an operatic soloist and artistic entrepreneur, turning her research on operas composed by women into the exhibit, In Her Own Hand: Operas Composed by Women 1625 to 1913, then into the Maria Antonia Project, an opera company whose goal was to bring operas composed by women out of the archives and onto the stage. She has since turned IHOH into a talk that she presents throughout her native NY State as a Speaker in the Humanities for the NY Council for the Humanities. Since 2012, as her alter ego, Madison Hatta, Sonneteer, she has been reciting original, whimsical sonnets about madness, Time, career & family dysFUNction and tea at NYC’s historic La MaMa Experimental Theatre and other venues. The Twinkle Bat Variations is their current work-in-progress. Seeking friendlier climes, April (+ Madison) moved to Philadelphia in September 2013. April has recently added Adjunct Professor in the Department of Fine Arts at La Salle University to her CV, where she teaches the Art of Listening and Early Music. In addition to the above, April is a specialist in 18th-century dance, still juggles balls and clubs on occasion, and is fluent in German. ELEANOR MACCHIA—Eleanor began her musical life as a pianist. A student of the late Clifford Balshaw, the late George McKinley and George Gray, she attended Misericordia University, the Westminster Conservatory and Temple University. Eleanor has performed for Elly Ameling, Dalton Baldwin and Martin Katz and has extensive experience as a cantor, soloist and recitalist. She has appeared with the Chamber Orchestra of Philadelphia, the Germantown Oratorio Choir, the Rittenhouse Strings and many other musical organizations throughout the Philadelphia area. She is currently soprano soloist at St. Luke’s Church of Germantown. Eleanor has appeared as featured soloist with the Montgomery County Youth Orchestra and Germantown Concert Choir under the baton of Dr. Cailin Manson in such works as Handel’s Messiah, Mozart’s Requium, Haydn’s Lord Nelson Mass and Massenet’s oratorio Marie Magdeleine. Additionally, her repertoire reflects works in the American Songbook. 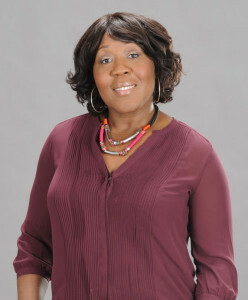 She has served on the faculties of various institutions including Germantown Institute for the Vocal Arts. She also teaches at her private studio. 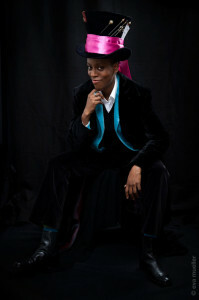 Trapeta B. Mayson is a poet, workshop leader and educator. She has worked extensively with young people and adults in educational, artistic and institutional settings conducting creative writing and self-expressive workshops. She has received numerous literary awards and fellowships including a 2002 Pew Fellowship, Pennsylvania Council on the Arts Grants and a 2007 Leeway Transformation Award. Trapeta is a Cave Canem and Callaloo Fellow and has completed residencies at schools, community agencies and artistic institutions. Her new poetry chapbook, She Was Once Herself, was released in 2012 to rave reviews and is available at www.trapetamayson.com. Trapeta’s other publications include submissions in The American Poetry Review and Lavanderia, Anthology of Women Writing, to name a few. She is a native of Liberia and grew up in Philadelphia. Trapeta is a licensed clinical social worker with a private practice and has worked for years in the human services field and with artistic and cultural institutions. In addition to her work as a poet, social worker, and educator; she is pursuing her MBA. Trapeta feels that all of her experiences inform her work as a writer. 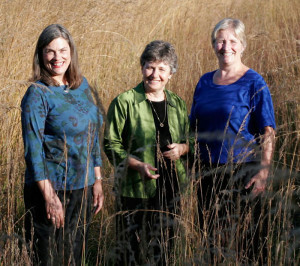 Voices of a Different Dream—Ellen Mason, Annie Geheb, and Susan Windle–began creating and performing their unique blend of poetry and song in 1991. Since then, they have performed in venues throughout the Philadelphia area and beyond: in bookstores and libraries, living rooms and coffeehouses, concert halls and conferences, churches and synagogues, nature centers and art galleries, peace rallies and fundraisers for progressive causes. With a wide range of voice and gesture, they use themselves fully in performance—every motion, each pause and inflection conveys meaning. Voices’ performances and recordings highlight each woman’s solo voice as well as the amazing resonances between them. They have three recordings: Unimagined Possibilities, You Know My Name, and Refuge for a Soul. 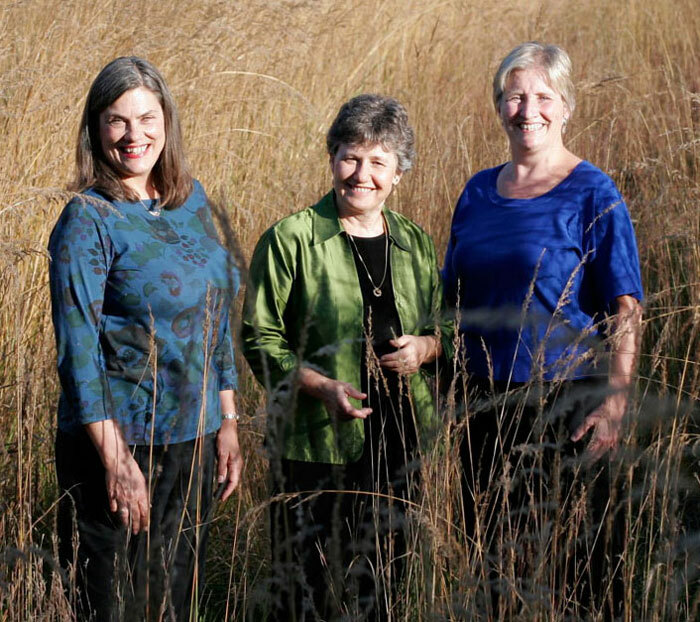 The two poets, Ellen Mason and Susan Windle, are co-authors of Already Near You: Poetry in Concert, a collection of poems performed together over the years. The women of Voices dedicate their work to challenging injustice and strengthening the bonds of love within, among, and between us. It’s a great way to celebrate the arts and women’s voices. Join us.